Assisted reproductive technologies have had a profound impact on biomedical research through transgenic animals, food supply and production, as wells as genetic gain of domestic species, and treatment of human infertility. While significant advances in embryo culture have occurred over the last few decades. In Embryo Culture: Methods and Protocols, expert researchers in the field detail many of the methods which are now commonly used to study human embryo culture. These include emerging methods and the impact of embryo culture on epigenetics and offspring health is presented to set the stage for future research and laboratory application involving embryo culture. Written in the highly successful Methods in Molecular Biology ™ series format, chapters include introductions to their respective topics, lists of the necessary materials and reagents, step-by-step, readily reproducible laboratory protocols, and key tips on troubleshooting and avoiding known pitfalls. 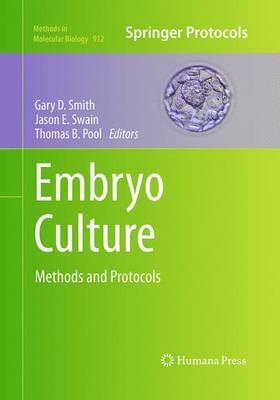 Authoritative and practical, Embryo Culture: Methods and Protocols seeks to aid scientists in the further study of this crucially important field of embryology and assisted reproductive technologies.